Place dates, 1/2 cup of hazelnuts, cacao, maple or rice malt syrup and salt together in a food processor and blend until all ingredients are well combined. Set mixture aside in bowl. Roll the mixture into 8 equal sized balls, placing a hazelnut into the middle first. To make the topping, melt the coconut oil on a low heat and mix in the cacao powder. Place aside for 2 minutes. In a food processor, blend the hazelnuts until finely chopped. Place into a small bowl. Dunk each ball into the topping and sprinkle well with the chopped hazelnuts. Place in the fridge for 30 minutes before serving. Ferrero Rochers are one of my favourite sweet treats so it was only was a matter of time until I decided to make a more wholesome version. 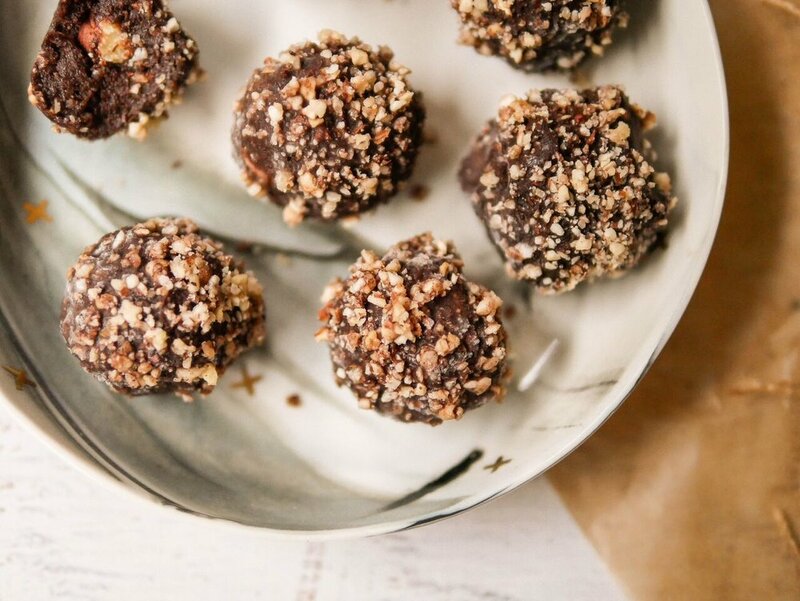 This recipe is for 8 Ferrero Rocher Truffle Balls that are raw, indulgent and guilt free. The balls are sweetened with dates and maple syrup and the topping is made of coconut oil and cacao to sub out dairy. The centre has a smooth hazelnut like flavour that literally melts in your mouth. 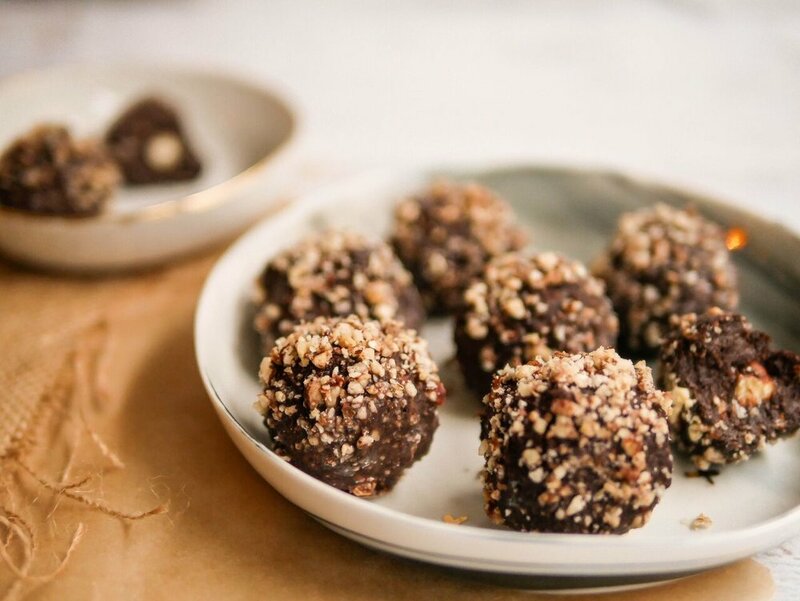 Whip up a batch of these Ferrero Rocher Balls and keep them in the freezer for when you are feeling peckish and needing a sweet treat.